One question that I get very often form my customers is: “How can I use all this mobile device functions like camera, GPS and all the other stuff in a Web Application?”. As you might know the browser runs the Webpage in a sandbox for safety reasons. Direct access to devices like camera is not possible. Because of that reason we need to run the webpages in a native app. After finishing this Exercises I have a nice Fiori like app that is running in a browser. What I want to do is to use the camera of my iPad as a Barcode scanner. This are two tasks in one step. First we have to use the camera to scan the barcode an second the barcode must be translated from a picture to a value. That seems to be a good testcase. I was surprised how easy it was to build this function. I will show the steps and the needed code. After pressing the Camera next to the Search Field, the Camera will be started and you can start to scan the Barcode. The result will be written into the Search Field and filter the list. Some information of my environment. I run Eclipse on a Mac. We bring the App on an iPad and using the camera of the iPad. To do this you need to install Xcode on you Mac and you need a membership of the Apple Developer Program, what costs 80 Euro for one year. This app won’t run in the simulator of Xcode, because you can’t use the camera in the simulator. I expect that the shown solution also runs on android or other devices, but I didn’t test it. I would be happy for every feedback. The next steps are very easy and straight forward. Copy all files of the “WebContent” folder of your Eclipse project into the “WWW” Folder of your Cordova project. Furthermore we need the resource files of SAPUI5. What I have done is to download the OPENUI5 runtime from OPENUI5 on GITHub.This project is able to run with OPENUI5, what is even more cooler. 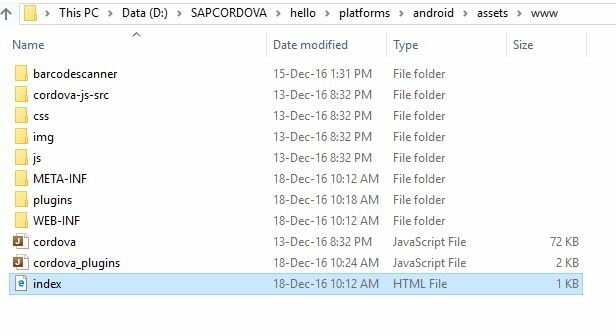 Copy the recource Folder of OPENUI5 into the “WWW” Folder of the Cordova project. There are probably better solutions than to copy the folder in every project, but for this proof we use this very easy solution. Open the new Xcode project that is created in the folder “platforms” of your Cordova project and run it. You can run it direct on your iPad or in the simulator. At this point we can run it in the simulator, because we don’t use the Camera so far. If you want to build a native app on other platforms you can create it in the same way. Now we are at the most interesting part. We want that our SAP Fiori like App and the Barcode Scanner are playing together. The last but important changes are in Master.Controller.js. Next we build the new handleCamera, that is called after pressing the Camera button. Here you can see that most of the work is done by the Plugin. Copy all that changes into your Cordova project, build the platform depended code again as describe, start Xcode and run this project on your iPad. Very nice blog. Tried it and works perfect on ios device. Thank you. Its very nice blog. 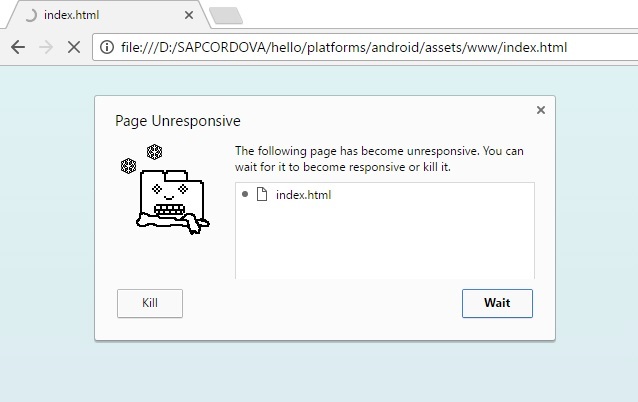 But I am new in using Sapui5 and also don’t have any knowledge on corvoda. 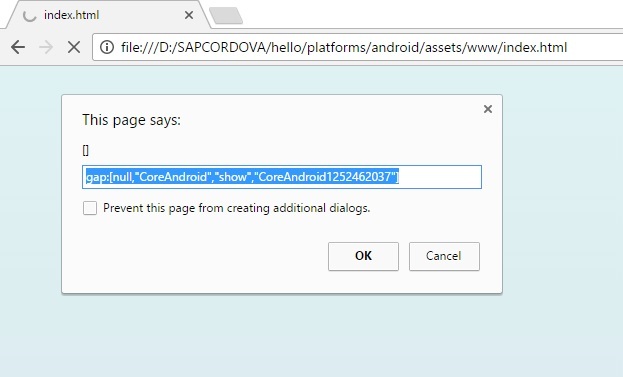 Can you plz share your “Cordova” and “Sapui5” project code? Its very help full to me. i.e in ware house,operator is standing and trying to read a bar code which is 6 to 10 meters on top of him. is it depends on Camera zoom or cordova plugin has any capability of reading long distance bar codes. to be honest, I don’t know if the bar code scanner will scan long distances. I think 6 to 10 meters could be a problem. But this depends on the camera and the size of the barcode. Thank you very much for sharing this post. I try it on Android and it works perfect. What did you use to developed it in android? I m apologize for my late response, bud I just used the steps, which Renald descriped in that blog. 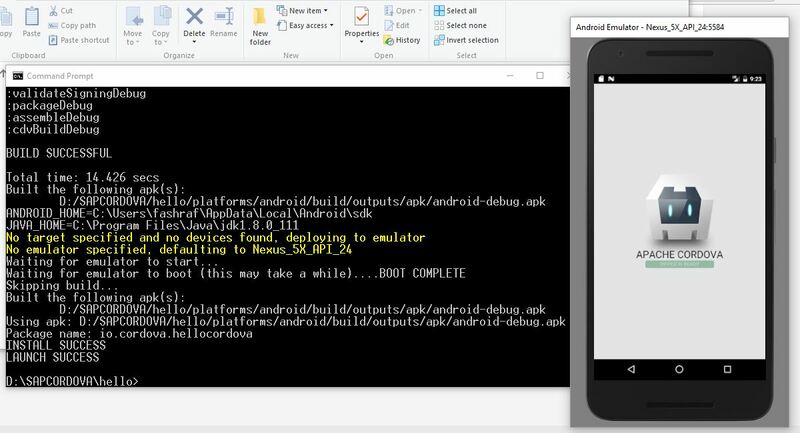 I only needed cordova android platform for my hybrid apps. but Now I would recommend to you use HANA Cloud Platform WebIDE, where you can develope a hybrid app via HAT (Hybrid app Toolkit). you should open a thread / discussion, that your question is searchable and can be answered by everybody. I have no idea how this should work w/o Xcode. I used the Xcode to developed the same example and it is running fine from the iPad. 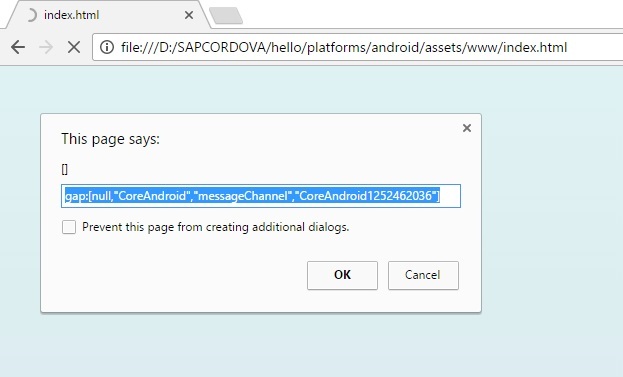 when we moved the same code into the SAP Fiori client 1.6 it doesnot work. Please guide us how to move the Xcode code into the ABAP Repository and can used through Launchpad. I have tried the same code for android platform and its working fine. It triggers my camera and scan the code as well. but it just shows the code in MessageToast after that it doesn’t take the input to filter in search filed. I have created the code exactly as u have shown. Please suggest what am i missing? I am trying same with Android, but when i am executing it is giving me the below image only. I have used cordova on android platform. 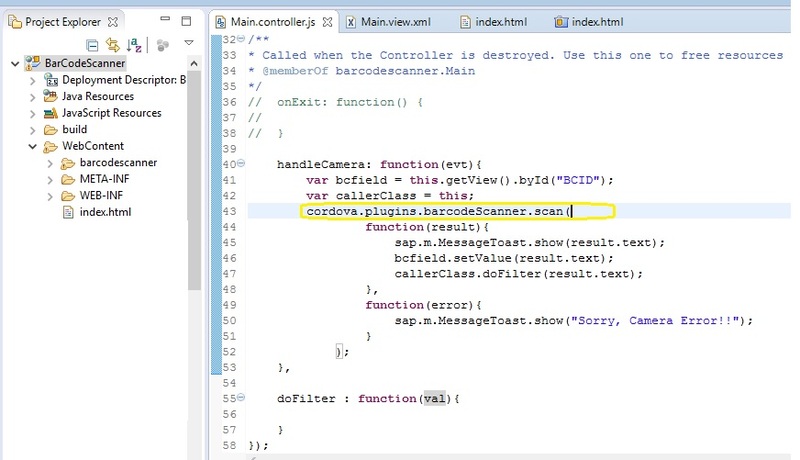 i have used cordova plugin in sap fiori client to scan barcode using tablets camera. The camera is opening in landscape mode, is it possible to open camera in potrait mode? Great document, now I can see better how API’s and SAPUI5 work together. 2. 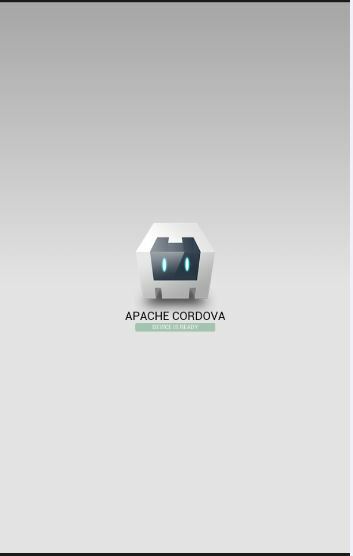 Created one cordova project “hello” on D drive in a particular folder. 3. Added phonegap barcode scanner plugin. When I run this from Cordova CLI I am getting the expected file on my android emulator. All is fine till here. 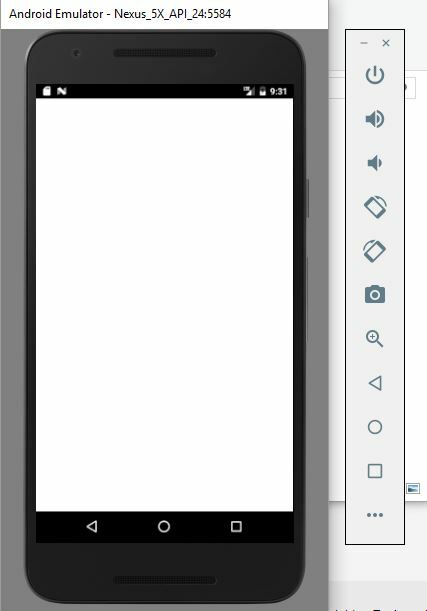 and running the cordova project, I start getting a blank screen on the emulator. To figure out what went wrong I tried to run the index file in web browser (chrome & firefox both). Here the file gives 3-4 pop up messages and hangs up. Very nice blog, thank you. Are u also familiar with generating a barcode in a UI5-App running on the FLP? I have a string and I need to generate a barcode (code 128) out of this string. Any suggestions would be nice! Hello is there any new update to this app? I try this but How can I deploy this project ABAP server? this solution is intend to run as an application, not as a web page. Hi,what about for QR Code will the above code works for this as well.